Get ready to catch stillwater trout in Oregon’s high lakes with this classic chironomid midge pattern, the Ice cream cone. Barrett says this staple fly for Crane Prairie is a great year round bloodworm imitation. 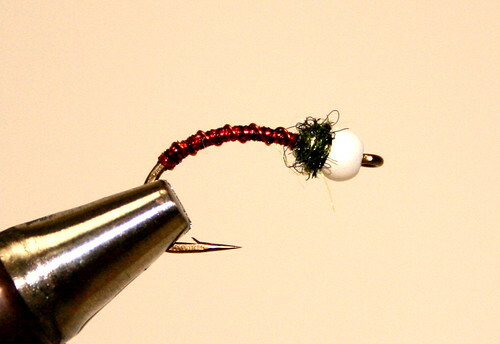 In the spring, fish really key in on these chironomids fished under an indicator. Tie these sparse for realism. Thank you for your help, and making this avalible.